From traditional to contemporary, we are experts at creating unique spaces that match your unique style and needs. We specialise in quality custom projects from the ground up tailor made for you. We provide a full service to complete your project and are diverse in our expertise. We are a building company that takes pride in its work, selecting only a network of proven trades people and suppliers, whom are very competent and reliable with the ability to deliver. We take the time to listen and understand our clients needs and then deliver, we inspire our clients through simple design and quality finishes. Our difference – We work with our clients and with our architects from the initial design briefing to hand over, it is a seamless journey encompassing design, interiors and construction. TM Residential Projects specialises in all stages and aspects of residential construction and carpentry projects. Principally operating in and around the Brisbane metropolitan area TMRP draws on extensive experience in the residential and commercial building industries. At TMRP we are focused on delivering the finest quality end product, achieved through attention to detail, professionalism and communication with our clients. TMRP takes pride in its reputation. Developing relationships with our clients is a critical point of difference, enabling us to ensure the highest rate of customer satisfaction. The quality of TMRP’s finishes and services is bolstered by our commitment to our team, training and professional development. The TMRP trade marque centers on affordability, efficiency and quality acheived in every project and tailored to every budget. Troy Proctor Constructions is a locally owned and operated company. I have 14 years experience in the building industry. Our team consists of 7 local permanent staff and a number of talented sub-contractors across the building spectrum. The success of the company has come through providing a variety of choices in design, quality and affordability, teamed with honesty and reliability from initial enquires to completion of the project. Heritage Homesteads combines the unique heritage style to create homes with ultimate street appeal. Each homestead captures the timeless colonial elegance, incorporating a modern floor plan for today’s lifestyle. Heritage Homesteads have a passion for incorporating the look of yesteryear and preserving our heritage. We believe this is a look that will always be admired. At Saltash Homes, we are a diverse bunch of talented, down to earth, knowledgeable and like-minded people. We are passionate about building, fine craftsmanship, innovation and looking after our clients. Combining our 45 plus years experience in the building industry, knowledge and individual skills, we feel we have created the ultimate bespoke building company right here in Bayside Brisbane. The Saltash team are skilled and experienced in all styles of build but we are especially drawn to those unique projects that challenge us and expand on our own creativity, which is why we specialise in Queenslander renovations. We have a special place in our hearts for Queenslanders and undeniable love for working with this style of home. Although we have to agree the original Queenslanders do have some architectural pitfalls, they also hold buckets of potential to covert and embrace our modern lifestyle needs that has a sense of history, filled with warmth, charm and a point of difference. 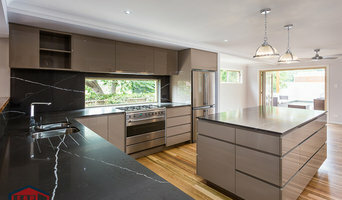 We are a Brisbane local Builder and has been in business since 2009 providing quality carpentry and building services, and has over 14 years experience in industry. Our focus is on kitchens, bathroom & laundry renovations. 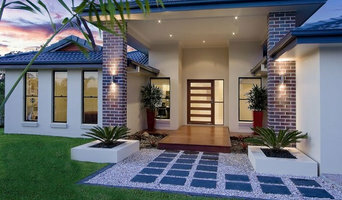 We specialise in Queenslander, and all house types. 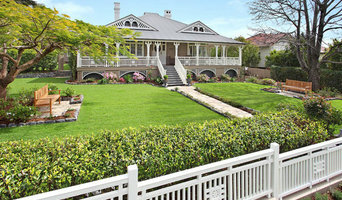 We work in all Brisbane suburbs, with a focus in the south and west and love project managing. Castle Glenn Homes has been a family owned company for over 25 years. The award-winning builder has a full-service team that design and build custom homes to individual needs. NLH Constructions is a family owned construction company with over 20 years experience in the building industry. We specialise in renovations, extensions and new homes and have a proven track record of success achieved through honest communication with clients and a commitment to delivering our projects on time and on budget. Our attention to detail, exceptional workmanship and commitment to client satisfaction are qualities we pride ourselves on. We have a professional team of trusted trades who share our commitment to excellence and assist in providing a quality finish on every job. Nathan Van Daalen has been working in the construction industry in Brisbane for over 15 years and he has a wealth of knowledge and experience. At NLH Constructions, you will get a personalised service as you deal directly with the builder and Nathan will personally oversee all aspects and stages of your project. 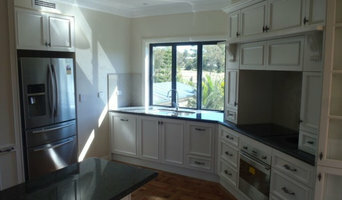 For quality building work, contact NLH Constructions on 0419 796 089. From your first call to KCS Construction you'll know you've made the right decision. KCS Construction focus on you, your needs, and ensuring that you enjoy every step of the building experience - from idea to completion - and share in the creation and continued evolution of your dream project, be it a new home, a renovation, or simply a new entertaining area. Let us help you fall in love with your home! We offer our clients a transparent platform when delivering high end luxury new homes. Our clients expectations are of the uttermost of importance so we take the time to work with them and ensure their new home exceeds all expectation. Building Without Compromise - High quality workmanship focusing on every detail is the difference that distinguishes Rodman Projects. Welcome home. For more than two and a half decades now, Scott Clements Constructions has been helping people realise their architectural dreams, through personalised design and flawless attention to detail. From concept to completion, Scott Clements manages and oversees the process with expert advice and instruction – each and every project receiving the personal touch. This family-run business prides itself on quality relationships – with staff, suppliers and clients – some spanning more than 25 years. We believe quality building starts with trust, loyalty and open lines of communication between all parties. Also, as part of the affiliated Builders Group, Scott Clements Constructions can make your budget stretch even further, with our buying power saving you dollars on every item from cement to ceramic tiles. Everything about the Scott Clements experience is inclusive and constructive. From the very first client discussions, throughout the building phase, and right up to handover, you’re included and kept informed. JAAM Project Services was established in 2008 as the need for a holistic client focused project management and construction delivery company was requested by our clients. By combining the experience and knowledge from both the consultancy Project Management services and integrating it with the cohesive delivery and thoughtful knowledge of the Construction Management service we provide a single point service that delivers projects from inception to completion. We pride ourselves on being part of the clients team and take the clients interests and goals as our own. What sets us apart from the opposition is our personalised service and our solutions focused mindset which ensures that projects are continually moving forward – we anticipate problems, resolve issues and lead with conviction.